While searching by text has been available to smartphone users for many years now, voice commands to search and do other things is still relatively new. Sure there have been attempts at it in the past but over the course of the last 18 months with Siri (Apple), Cortana (Microsoft) and Google Now, the ability to do far more than simply search for web content with your voice has grown exponentially. In fact the challenge now is not so much what you can’t say to your device but remembering what you can say to your device. 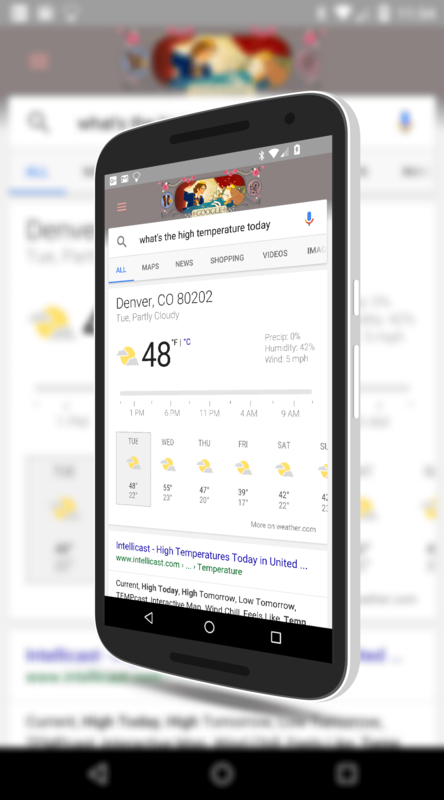 This is the first part in a multi-part series on voice commands with Google Now. I will preface this by saying that this by no means should be considered definitive or final. Google is continually adding voice commands to the service and while I do plan to update these posts as time goes on, undoubtedly I will miss something. Your help, of course, is appreciated in finding new commands. For this first post I am going to focus on commands that you can give to your phone or tablet to perform a function or to get you information. The way I have structured the information after the break is whatever you find (parenthetically) is the user adjustable command. For example, “What time is it in (Denver)?”. With each of these commands, as you would expect, you start by saying “OK, Google” to turn on the voice recognition elements of Google Now. You can configure this to be on all the time on any screen by going to Google Now>Settings>”OK Google” detection and enable the any screen option. What is the temperature in (location)? What is the high temperature today? What is the high temperature in (location) today? What is the low temperature today? What is the low temperature in (location) today? What does my day look like on (day this week)? How many (meters/centimeters/feet/yards) are in a (kilometer/mile/feet/yards)? (number,measurement) is how many (kilometer/mile/feet/yard)? e.g. : 100 centimeters is how many feet? What is (number) (times/divided by) (number)? What is the square root 0f (number)? What is (company) stock price? What is (company) trading at right now? I would encourage everyone to give these a try and if you find more commands do let me know. I’ll make sure to get them added and give you proper credit for finding them. In part 2 of the series next week I will be going over the different operations you can use with Google Now to use your phone and apps on it without having to touch your device.